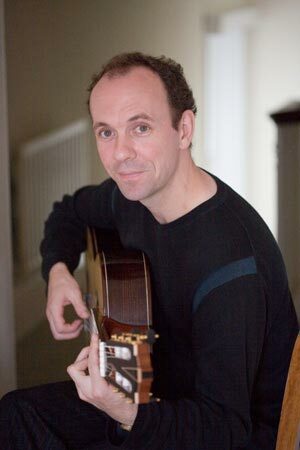 This classical and jazz guitarist is based in County Derry and is available for weddings and functions across Northern Ireland. The beautiful sound of the classical/jazz guitar can enhance the mood of any room or setting. 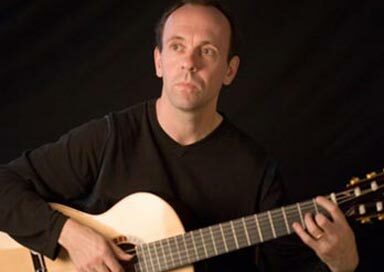 Background guitar music can be provided for weddings, exhibitions, dinner parties and corporate events. Programmes can be built around your own requirements and requests are catered for where possible. At wedding services, wedding music can be provided in church, for your guests during the pre-dinner drinks reception, during dinner or a combination of these. He is also available as a Duo/Trio which can entertain your guests with a mixture of jazz standards, ballads and latin favourites. 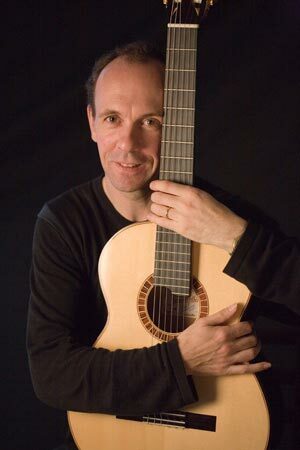 At present he is one of the foremost classical/jazz guitarists in Northern Ireland providing wedding music and plays classical music, Irish ballads, popular songs, jazz standards (easy listening), bossa nova (Brazilian) and flamenco on the classical (Spanish) guitar. He has a repertoire of approximately 100 pieces.